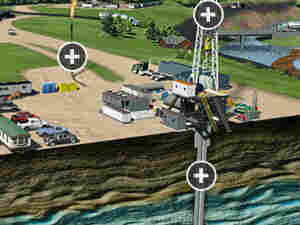 Medical Records Could Yield Answers On Fracking Is fracking making people sick? The question has ignited a national debate. A proposed study in northern Pennsylvania could help resolve the issue. By mining more than 10 years' worth of patient records, researchers hope to better understand the potential impact of hydraulic fracturing on health. A proposed study of people in northern Pennsylvania could help resolve a national debate about whether the natural gas boom is making people sick. 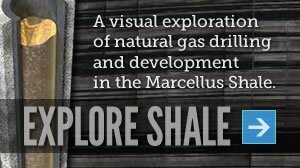 The study would look at detailed health histories on hundreds of thousands of people who live near the Marcellus Shale, a rock formation in which energy companies have already drilled about 5,000 natural gas wells. If the study goes forward, it would be the first large-scale, scientifically rigorous assessment of the health effects of gas production. In recent years, there have been lots of anecdotal reports about people who say they have been harmed by the chemicals associated with gas wells and the drilling technique known as hydraulic fracturing, or fracking. But "there doesn't seem to be a lot of hard data to either support or refute those claims," says David Carey, associate chief research officer of the Geisinger Health System, which provides care to more than 2 million Pennsylvanians. So the Geisinger system wants to use its huge database of electronic health records to help researchers get definitive answers, Carey says. The long-term goal is to learn whether gas operations increase the incidence of diseases such as diabetes and cancer, Carey says. But first, he says, researchers want to take a quick look at whether air pollutants associated with gas drilling are affecting people with asthma and other lung problems. The asthma study is possible because Geisinger's database includes tens of thousands of people with asthma, says Dr. Paul Simonelli, the system's director of thoracic medicine. From his office in Geisinger's gleaming medical center in Danville, Pa., Simonelli demonstrates why the database is so valuable. 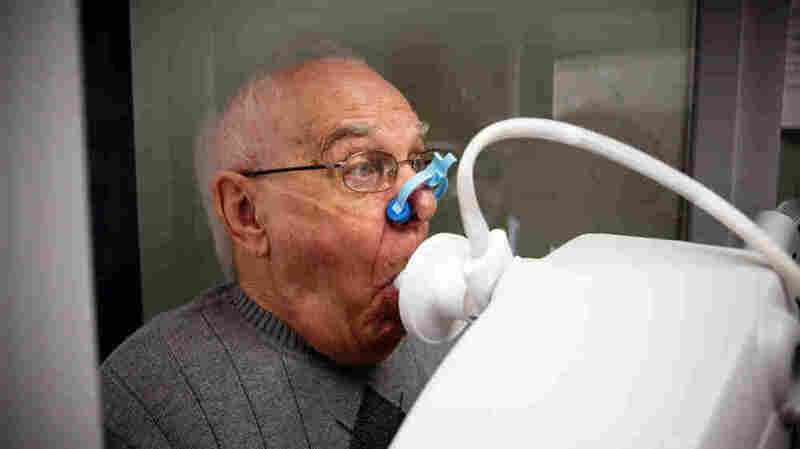 With just a few computer keystrokes, he brings up the record for an asthma patient. "This patient's been seen in our system well over a dozen times," he says, scrolling through the record. "And this dates back to 2001." Researchers want to start with asthma patients because they are very sensitive to ground-level ozone, a pollutant that often forms near gas wells, Simonelli says. When ozone levels rise, he says, many asthma patients begin to have trouble breathing and seek help. Primary care physicians are usually the first people patients call, Simonelli says. Then, he says, "we see it in the specialty clinics such as my own, where we'll be messaged by lots of patients that [say,] 'I'm getting worse, what should I do?' "
When ozone levels get really high, he says, asthma patients start showing up in emergency rooms. 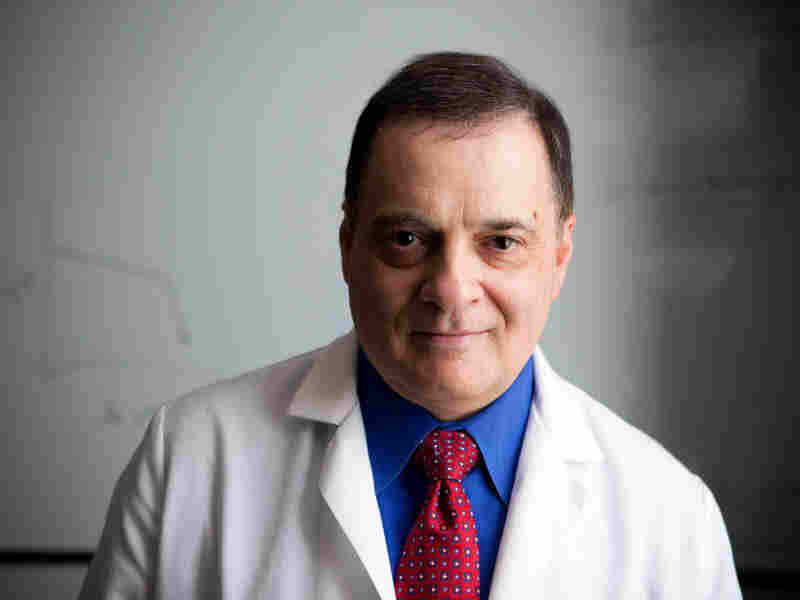 About 6 percent of people in the United States have asthma, Simonelli says, "so we're talking about an enormous number of people who are potentially at risk to have their conditions worsened by these exposures." And the Geisinger database contains such detailed information that it's possible to figure out things like precisely how far each asthma patient lives from a gas well, says Brian Schwartz, an environmental epidemiologist at Johns Hopkins University in Baltimore. Schwartz, who is working with Geisinger on the project, says the plan is to use air quality data from the Environmental Protection Agency to identify days when ozone levels are high, then use the database to answer a series of questions about asthma patients. Questions such as: "Are they being admitted to the hospital? Are they requiring emergency department visits? Are they using more inhalers?" Northern Pennsylvania is a particularly good place to ask those questions because gas operations are the primary source of ozone and only began a few years ago, Schwartz says. We're not out to get anybody. We just want to let the facts lead us wherever they will. "Because we have 10 years of health data, but the drilling has mainly been for the past five years, we have a period with information on asthma patients and controls before drilling, [as well as] a period after drilling," he says. There's one big hitch, though, Schwartz says. The asthma study alone is likely to cost nearly a million dollars — and no one has offered to pay for it yet. Even so, Schwartz is optimistic. One reason, he says, is that the research has strong support at Geisinger — from the CEO on down. There's a good reason for Geisinger's commitment, Carey says. "If you look at the map, the geographic footprint of our patient catchment area, this is literally going on in our backyard." So Carey and other Geisinger officials have been working to build support for the study among scientists, and capture the interest of funding agencies. And so far the response has been positive, Carey says, in part because Geisinger is seen as a neutral party in the national debate about fracking and shale gas production. "We're not out to get anybody," he says. "We just want to let the facts lead us wherever they will. So if we do find that there are environmental exposures that are harming people's health, we'll say it. If we find evidence that there's nothing to worry about, we'll say that, too."